DUBUQUE, IA—A beer expert with autism paid a visit to the tri-state area as a part of his nationwide craft brewery tour this past weekend. Lance Rice is a well-known beer historian from Ohio. He obviously has a passion for beer, but as a person with autism, he also enjoys spreading the message that a life with the disease doesn’t have to hold you back. Lance is currently visiting breweries across the US doing research to fulfill his dream of writing a book on the history of American beers. Travelling with him is his nephew, Aaron Rice, who is filming a documentary about the journey. Last week, they visited the Potosi Brewing Company for a dollar per pint campaign to help raise money for Lance’s Room. Lance’s Room is a charity dedicated to promoting the beauty of autism and providing aid for children and adults with autism to pursue their dreams in art, education, occupation, and life. Brad Saunders, Potosi Brewery Board President, said Lance’s visit to Potosi was an all-around success. 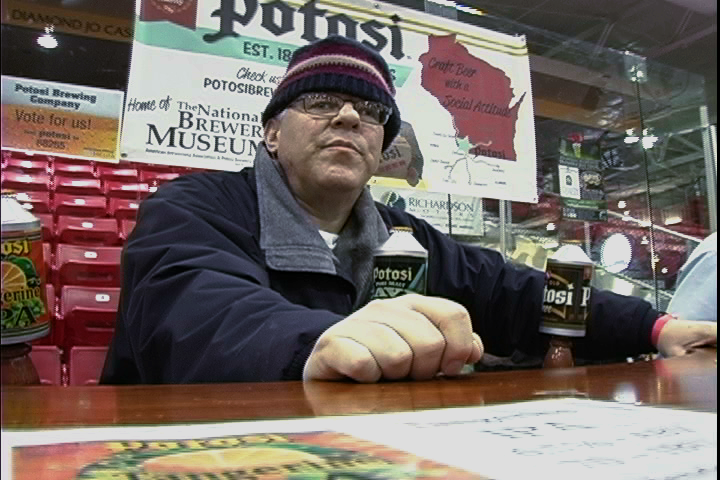 Lance joined the Potosi Brewery crew at Dubuque on Ice Brewfest on Saturday to sample various craft beers, meet other breweries, and help serve Potosi beer while spreading autism awareness. You can check out future dates on Lance’s Brewery Tour at lancesbrewerytour.com and learn more about the charity Lance’s Room at lancesroom.org.